An innovative study led by The University of Nottingham is to investigate whether arts and humanities can help improve the mental health and well-being of patients and carers alike. The five-year project will examine the role that music, storytelling, photography, sculpture and other activities might play in assisting mental health service users and those who look after them. The initiative builds on the work of Nottingham Health Humanities and its International Health Humanities Network and will centre on the concept of ‘mutual recovery’ – promoting social, cultural and emotional connectivity between patients, professionals and informal carers to gain mental health benefits for all parties involved in health, social or adult education delivery. The study comes as part of a quiet revolution to challenge the overreliance of pharmaceutical and psychotherapy solutions which critics argue have not delivered the step-change needed to support mental health patients. Professor Paul Crawford, who is leading the research and holds the world’s first chair in health humanities, said: “The target-driven, production line culture of our healthcare system has done tremendous damage and we are seeing management by remote control, where managers often don’t have a clue what’s happening as demonstrated by the recent scandalous situation at Mid Staffordshire NHS Foundation Trust. “This system is making it increasingly difficult for practitioners to be compassionate because they are under intense pressure to perform and many are suffering from burnout and struggling with their own mental health. When considering the attributes that modern-day healthcare is frequently accused of lacking, it is all too easy to overlook one of the most precious of all: humanity.” Click here to read more. Depression might lower the effectiveness of the shingles vaccine, a new study found. The research showed that adults with untreated depression who received the vaccine mounted a relatively weak immune response. But those who took antidepressants showed a normal response to the vaccine, even when symptoms of depression persisted. Shingles, an acute and painful rash, strikes 1 million Americans each year, mostly older adults. Health officials recommend that those over 60 get vaccinated. The condition is caused by reactivation of the same virus that causes chickenpox, varicella-zoster. In the new study, published in the journal Clinical Infectious Diseases, researchers followed a group of 92 older men and women for two years. The authors of the study speculated that treatment of older people with depression might increase the effectiveness of the flu shot and other vaccines as well. Make room for grandma and grandpa on the couch in front of the big screen. New research finds that older adults who play video games report higher levels of emotional well-being — what most of us call happiness. 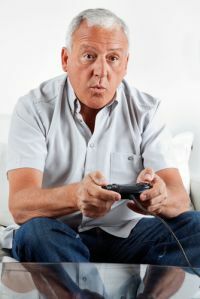 In the study, researchers from North Carolina State University asked 140 people aged 63 and older how often they played video games, if at all. Sixty-one percent of study participants reported that they played video games at least occasionally, with 35 percent of participants saying they played at least once per week. Researchers then administered a battery of tests to assess all participants’ emotional and social well-being. Investigators discovered participants who played video games, including those who only played occasionally, reported higher levels of happiness, or well-being. Those who did not play video games reported more negative emotions and a tendency toward higher levels of depression. When faced with impossible circumstances beyond their control, animals, including humans, often hunker down as they develop sleep or eating disorders, ulcers, and other physical manifestations of depression. Now, researchers reporting in the Cell Press journal Current Biology show that the same kind of thing happens to flies. The study is a step toward understanding the biological basis for depression and presents a new way for testingantidepressant drugs, the researchers say. The discovery of such symptoms in an insect shows that the roots of depression are very deep indeed. “Depressions are so devastating because they go back to such a basic property of behavior,” says Martin Heisenberg of the Rudolf Virchow Center in Würzburg, Germany. Heisenberg says that the idea for the study came out of a lengthy discussion with a colleague about how to ask whether flies can feel fear. Franco Bertolucci, a coauthor on the study, had found that flies can rapidly learn to suppress innate behaviors, a phenomenon that is part of learned helplessness. To continue reading, click here. New research suggest an aesthetic experience that reflects a person’s mood can help calm emotional turmoil. Thus, sad music or books may help someone get through heartbreak. “Emotional experiences of aesthetic products are important to our happiness and well-being. Music, movies, paintings, or novels that are compatible with our current mood and feelings, akin to an empathic friend, are more appreciated when we experience broken or failing relationships,” write the study authors. The sadness and grief following a broken relationship is part of the human condition — a time when we look for a surrogate to replace the lost personal bond. Prior research has reported that individuals in a negative mood prefer pleasant, positive aesthetic experiences (cheerful music, or comedies) to counter their negative feelings. However, under certain circumstances, consumers in negative moods might choose aesthetic experiences consistent with their mood (sad music, or tear-jerking dramas) even when more pleasant alternatives are also available. In the new research individuals were presented with various frustrating situations and asked to rate angry music relative to joyful or relaxing music. Researchers discovered people liked angry music more when they were frustrated by interpersonal violations (being interrupted; someone always being late) than by impersonal hassles (no internet connection; natural disaster). To read on, click here. What do a 45-year-old professor, several well-educated parents, a retired psychotherapist, a concerned husband, and a college student all have in common? 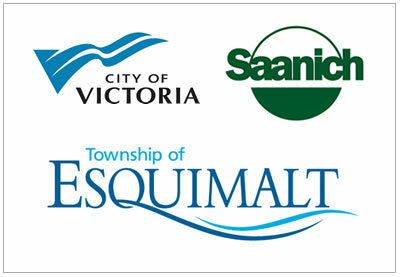 These are people suffering–or intimately connected to someone suffering–from clinical depression who didn’t know it. 1. Depression can creep up on you. Not all depression is so severe that you can’t stop crying or get out of bed. For many people, the feelings of sadness manifest as a growing disinterest in life’s activities. What used to be fun or interesting seems unimportant or shallow. You don’t feel like going to your friend’s birthday party so you make up an excuse. You feel bored by the books or TV shows that used to appeal to you. You don’t notice how, little by little, you are pulling back from others, spending more time alone, locked in your room. 2. Depression seems to be a logical response to life’s challenges. Since depression often worsens or can be triggered by loss or stress, you figure that you are responding appropriately to what is indeed a painful time in your life. You may have broken up with a boyfriend, had difficulties at work, done poorly on a school assignment, or moved away from a supportive environment. When you don’t snap out of it, even when your life circumstances appear to get better, you don’t realize that your negative mood state has persisted for months or even years. Click here to read more. So Mr. Tolkin began seeing Dr. Robert C. Abrams, a professor of clinical psychiatry at Weill Cornell Medical College in Manhattan. They meet once a month for 45 minutes, exploring the problems that were weighing on Mr. Tolkin. “Dr. Abrams is giving me a perspective that I didn’t think about,” he said. “It’s been making the transition of living at this age in relation to my family very doable and very livable.” To continue reading, click here. 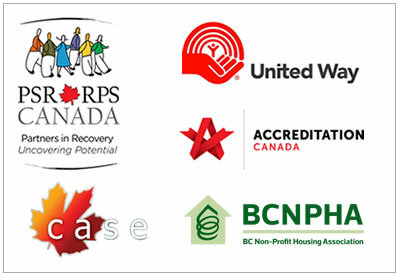 Click here for resources from the Vancouver Island Crisis Society.